Surrealism project was my favorite. It was a chance to be really creative and do whatever you're imagination could. I learned how to use photoshop very well and i will be using it at home for fun. I learned many tools that i did not know before. I'm proud of my work in this class and how well i kept up with projects. 3.what changes should occur next year/ what should be kept the same? I don't think next year you should do the solution room project where you try to create a place that is better. Most People's goal was not to create a better place and it was just to play around with minecraft. 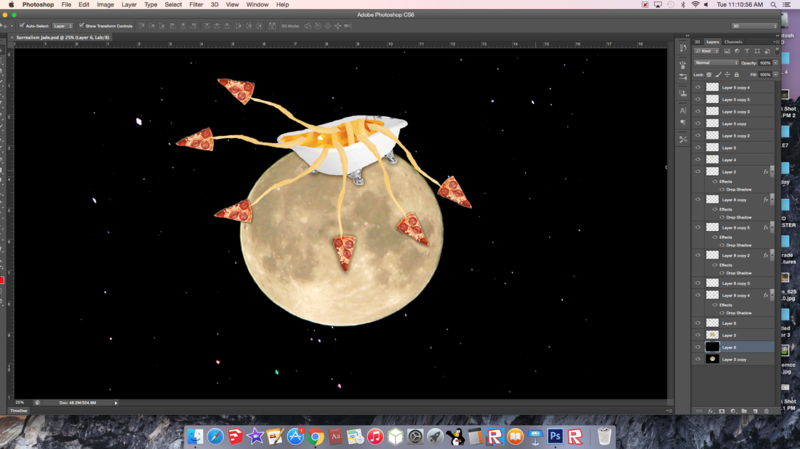 Today I've added more noodle arms and pizza. I've aded a slight shadow effect to make it look more real. I've completed my project and it was super duper fun! Media Arts at Chute is great! 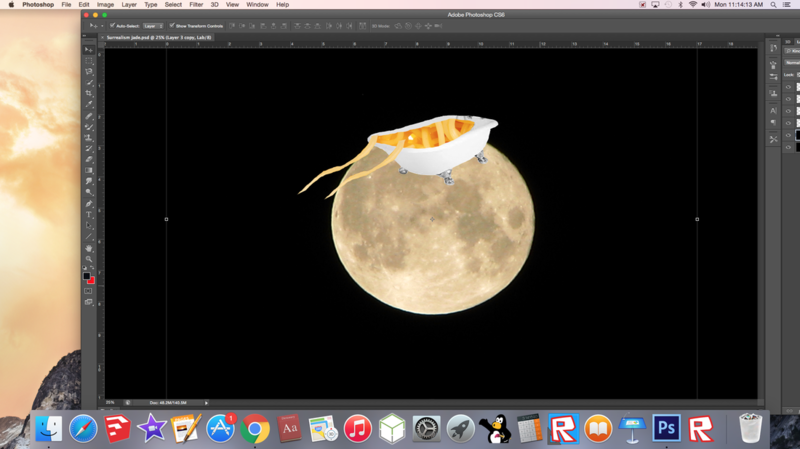 I am making a octopus noodle bath tub on the moon. I think I am not as successful as I thought I would be with this project. I was empty of ideas for my food room. I thought more about food I liked instead of food all around. If I could go back and fix things, I would try to be more creative with my furniture and design it nicer. I wasn't as creative as i thought I would be. 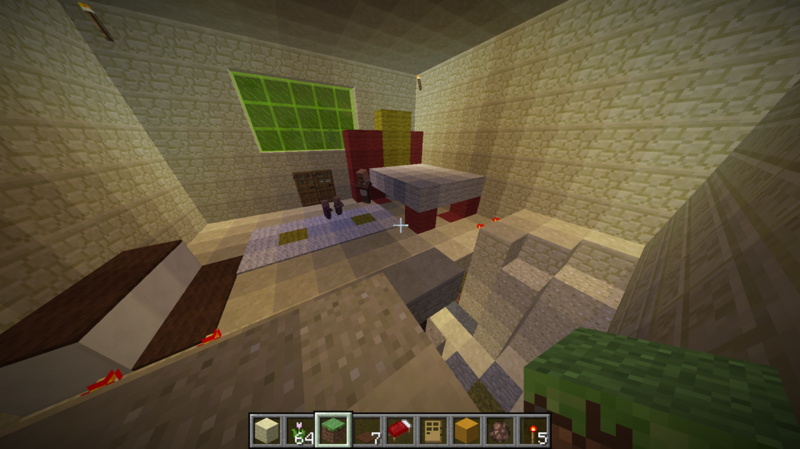 Although I did have much fun learning how to use minecraft and building my food themed room. 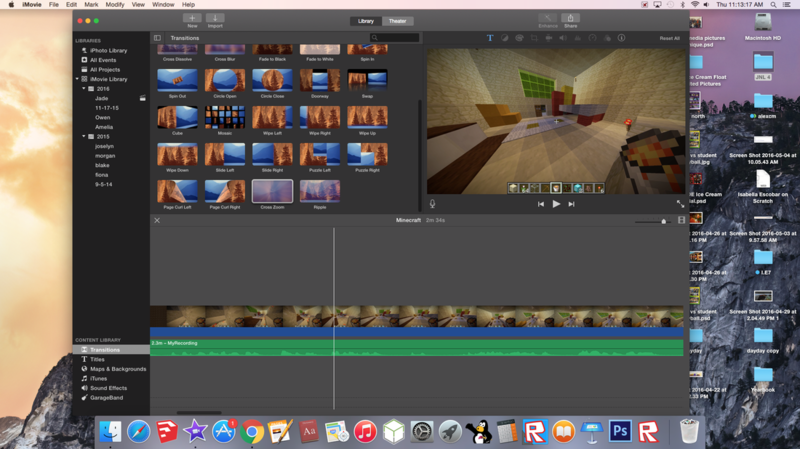 Today I've created my video and put it in imovie. I've also created my voice over describing the video. Now all I have left to do is crop and edit! 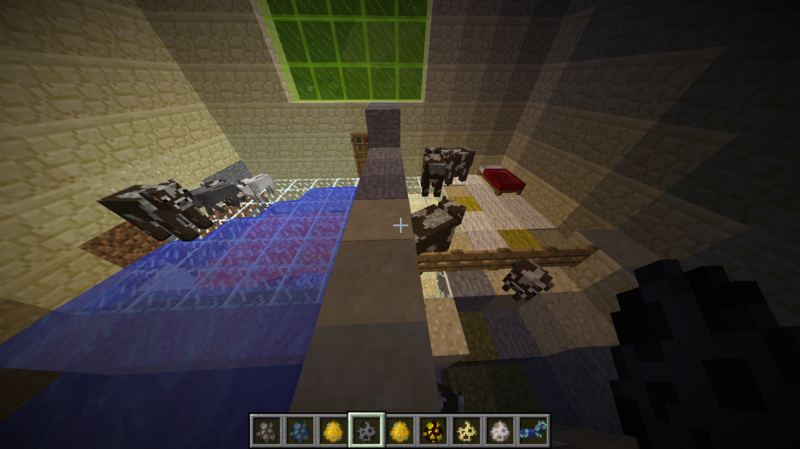 Today I have recorded my screen and showed my minecraft room. Ready for the video? Today I've built my orange brownish chair. I am almost done! 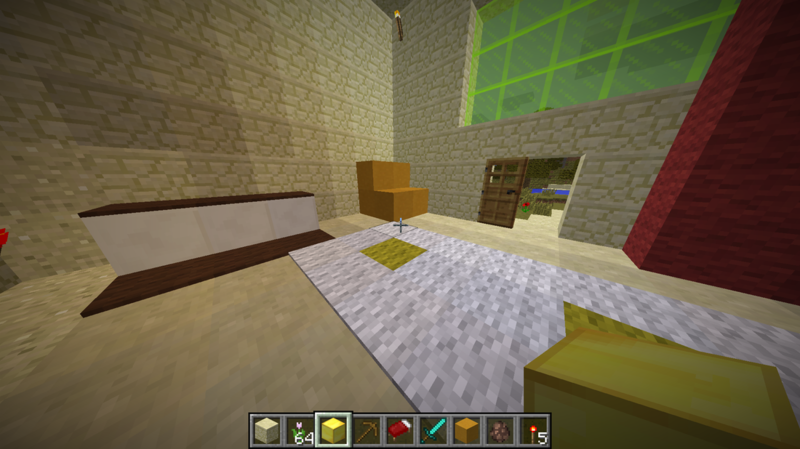 Today I've added the bedd and egg rug i want in my room including green windows. Today I've built my roof of my room. I am a 7th grader at Chute media arts and I enjoy fashion & food.